Mens There are 6 products. Navy Men's Competition Jacket This technical competition jacket is slim fitting, extremely lightweight and stretchy, making it very comfortable and easy to wear. 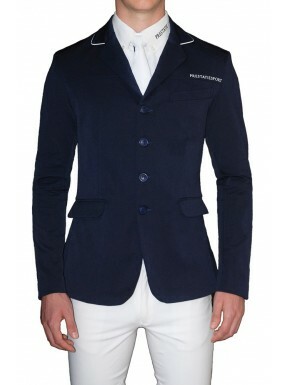 It features 3 shaping seams around the elbow, white piping on the top-collar and across the back seam. The 'Prestatie Sport' logo is printed on the front right and back left. 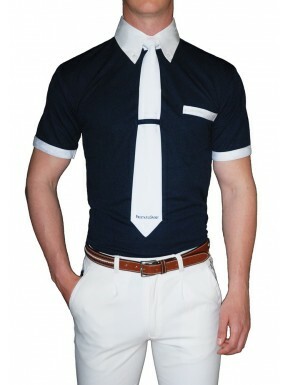 Men's Springen competition shirt in Navy. 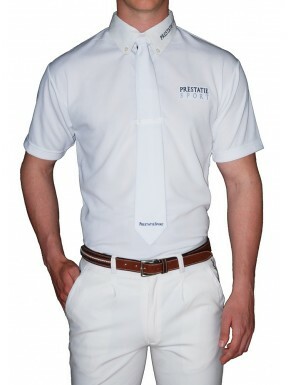 Short sleeve, breathable airtex fabric with button down collar , tie holder and handy chest pocket. 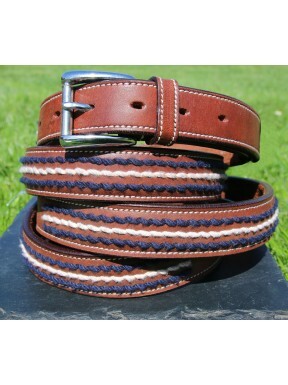 Striking blue and white stitch detail belt with silver buckle. 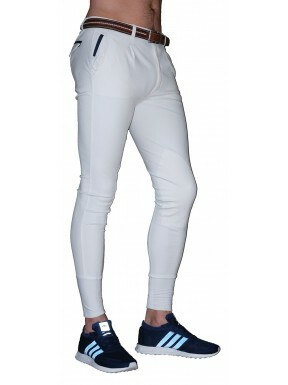 1 1/8'' wide, perfect to wear with breeches or jeans.